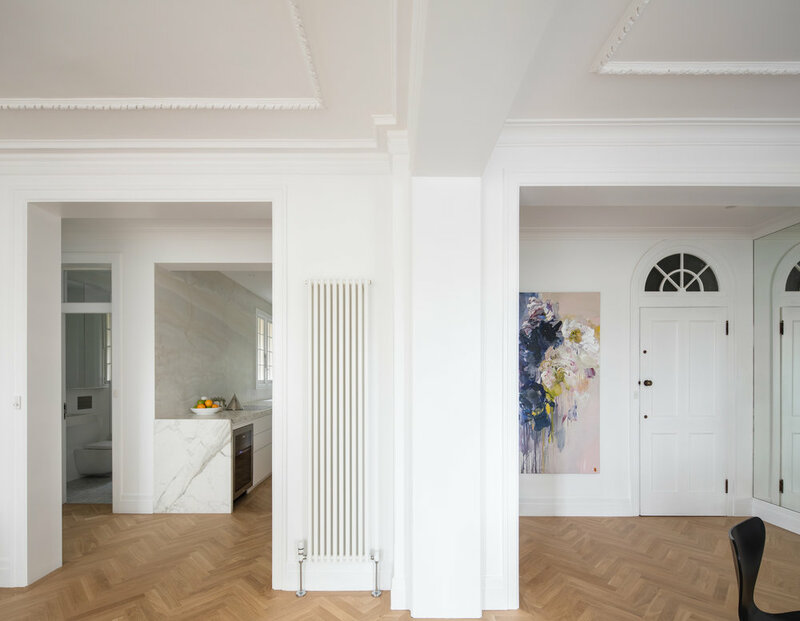 - Set within an Art Deco building in Woollahra, the brief for the K Apartment was to be a reflection of the way the young professional couple would like to live their lives - open spaces that were generous and filled with light. 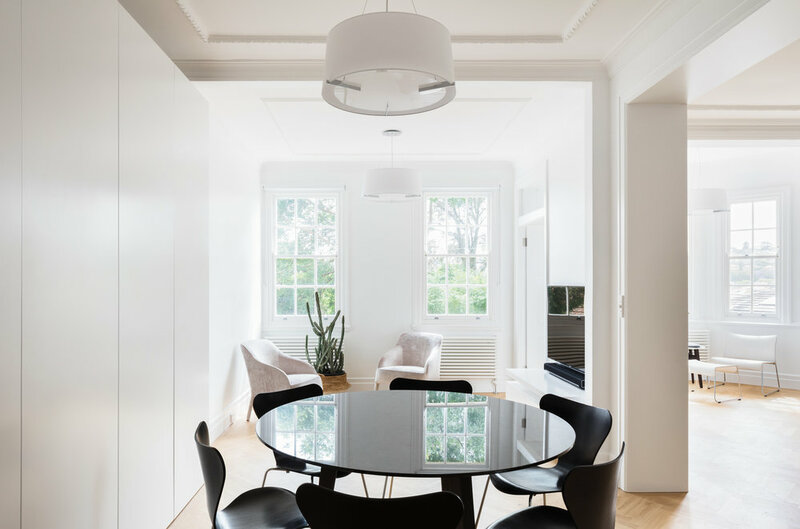 The interior of the original apartment was dark with small openings between rooms; grey walls and black bamboo floor were replaced with a more reductive palette of European oak parquetry, Calacatta Vagli Stone and joinery elements which were detailed to blend with the white walls. 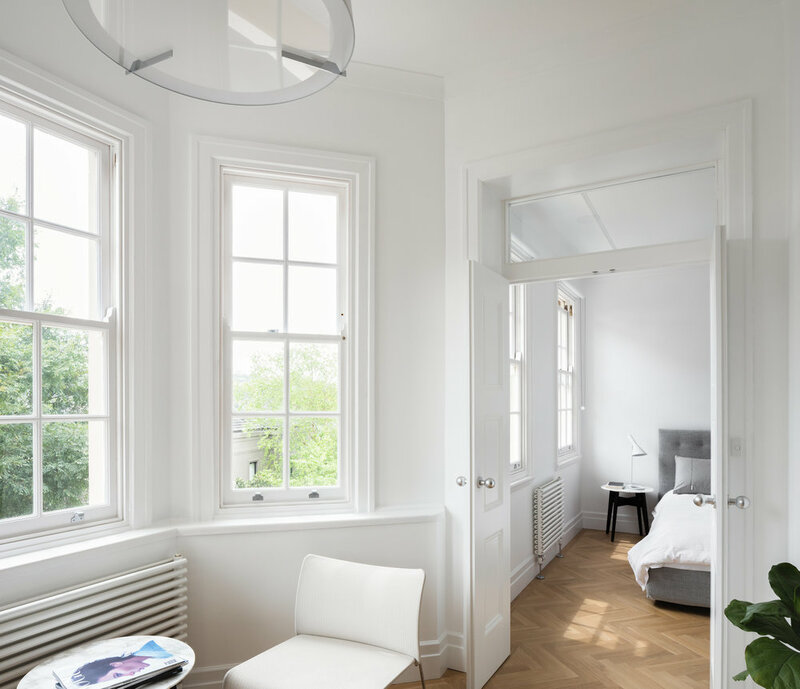 By enlarging the openings between rooms, light now fills the apartment and celebrates the period detailing of the original apartment. Natural materials combine to make a design of conceptual and spatial simplicity - a counterpoint to the colourful artwork the clients wished to exhibit.